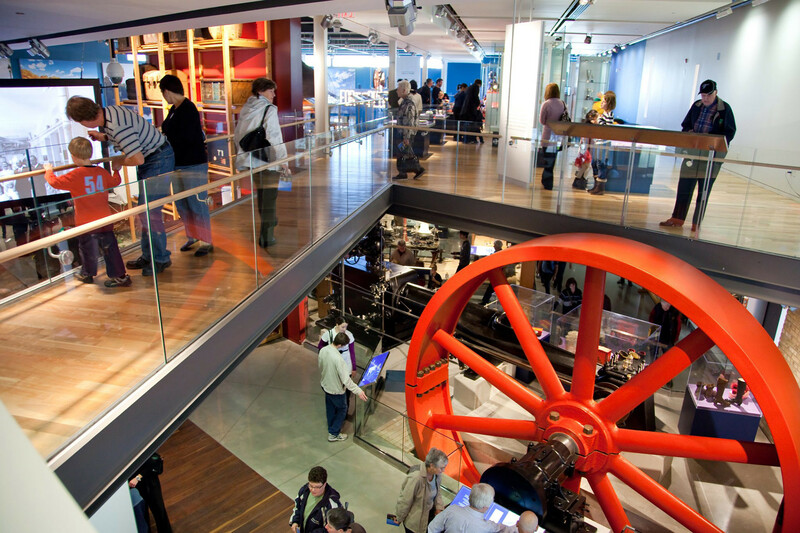 Set at the crossroads of two historic transportation routes, the Waterloo Region Museum celebrates the area’s pioneering past and technology-driven present in an iconic landmark building. 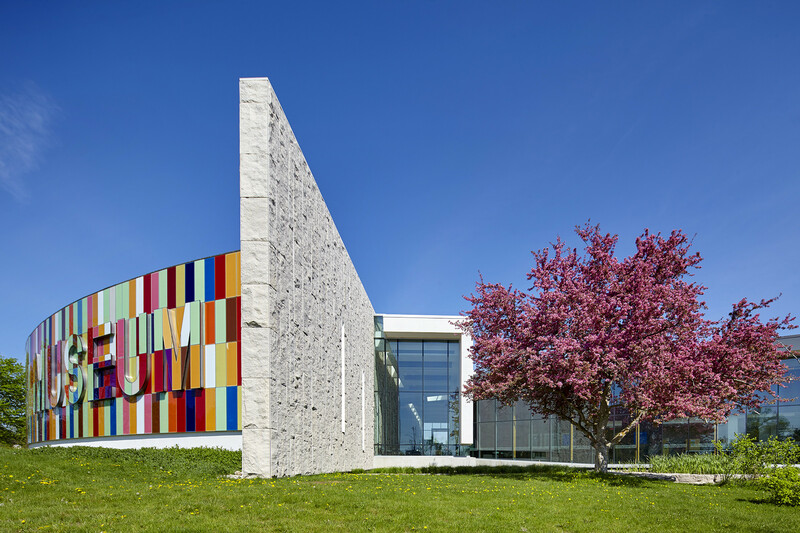 The museum’s colourful “quilt wall” of glass panels is based upon the vivid hues of quilts woven by early Mennonite settlers, but the interpretation is high-tech: computer hexadecimal code translates into 16 colours a seminal quote by Prime Minister Wilfrid Laurier that speaks to community, identity and Canada’s emerging cultural mosaic. 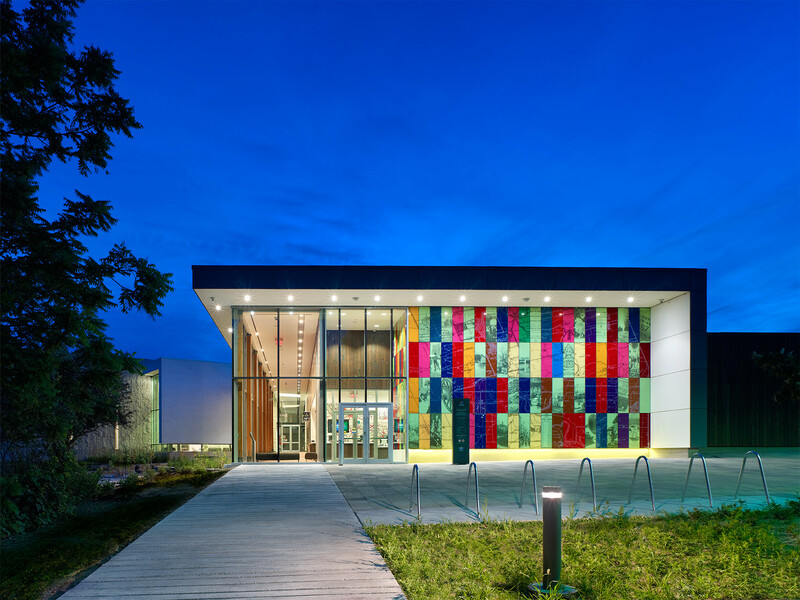 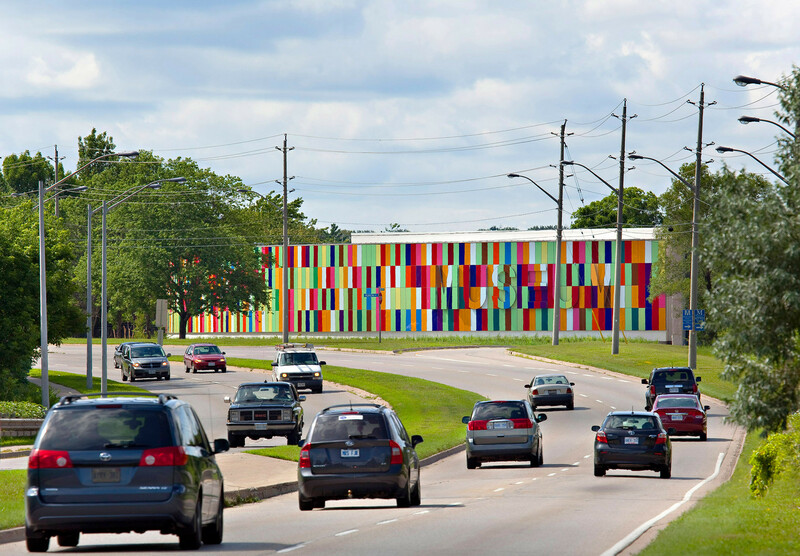 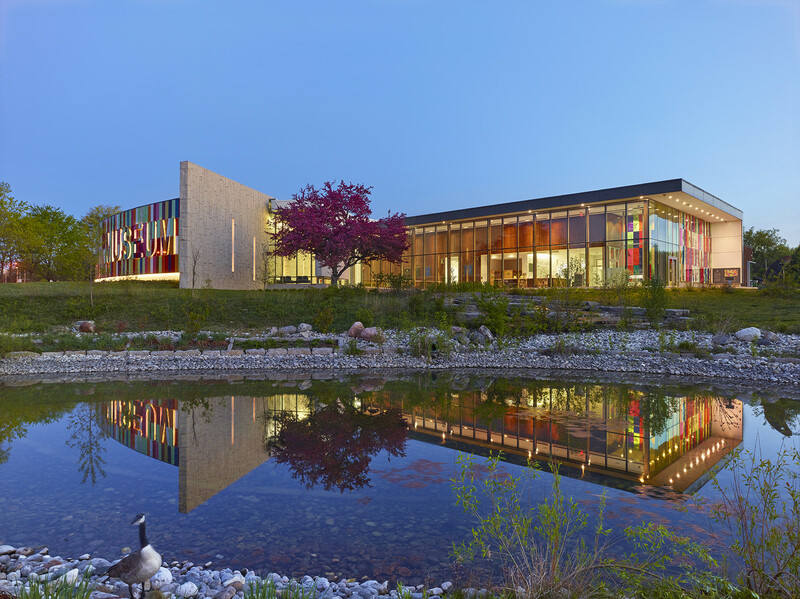 The quilt pattern appears at the museum’s main entrance, where glass panels overlay the names of Waterloo Region’s seven municipalities with images from the museum’s collection. 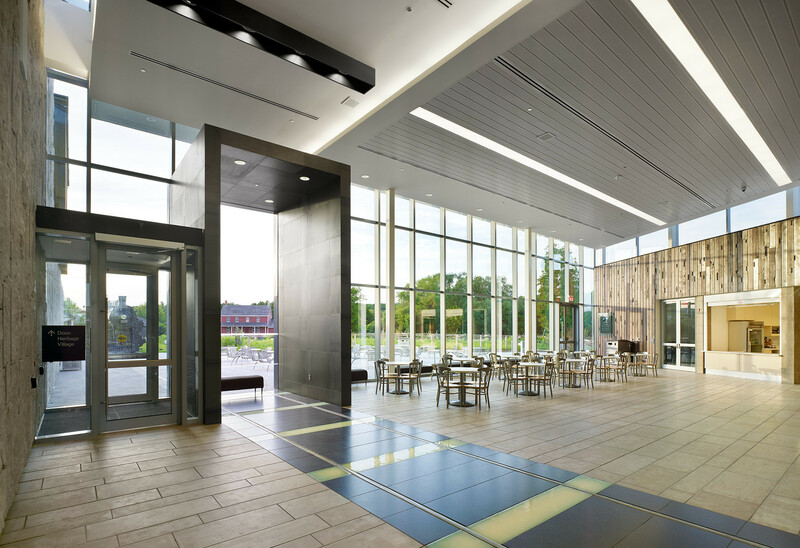 Inside, black walnut and granite flooring mark the actual historic locations of the Old Huron Road and Grand Trunk Railway; in the Grand Hall, where they intersect, a section of the historic railway track is revealed under glass. 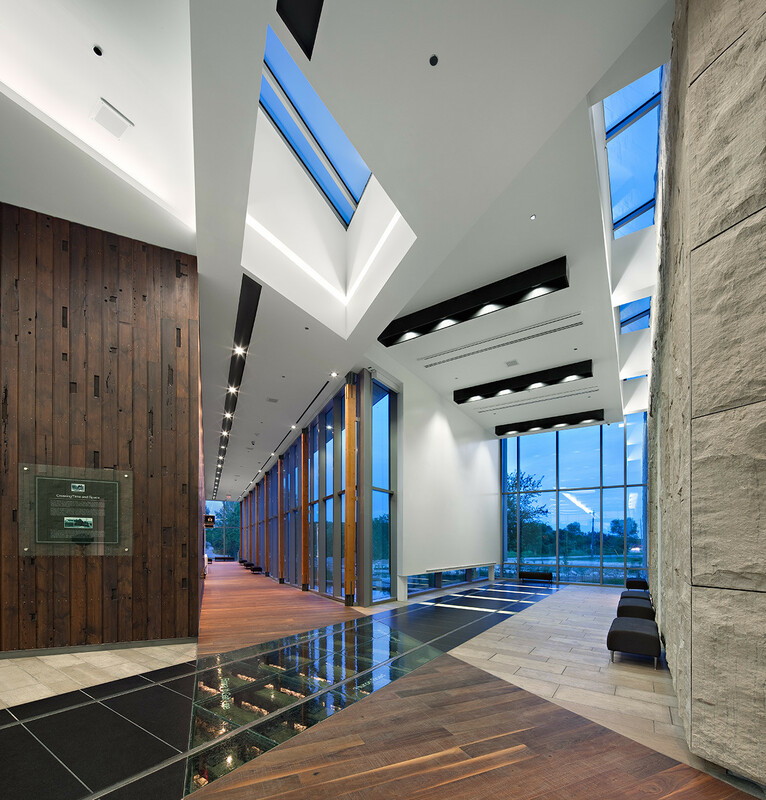 The walls of Huron Entrance Hall are clad in wood recycled from a barn built by the regions first Mennonite settlers. 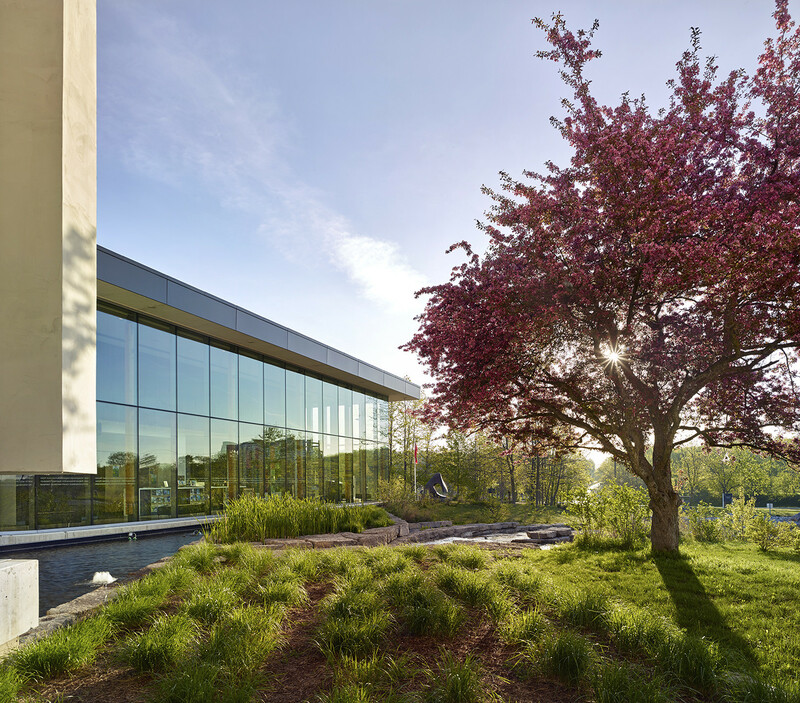 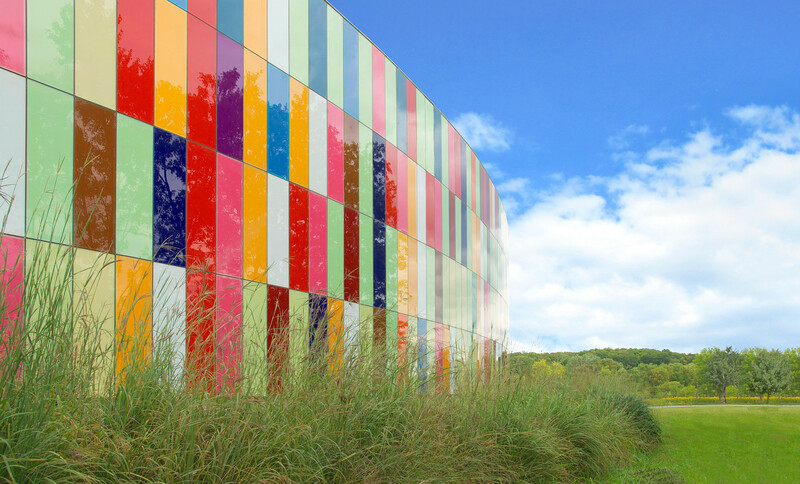 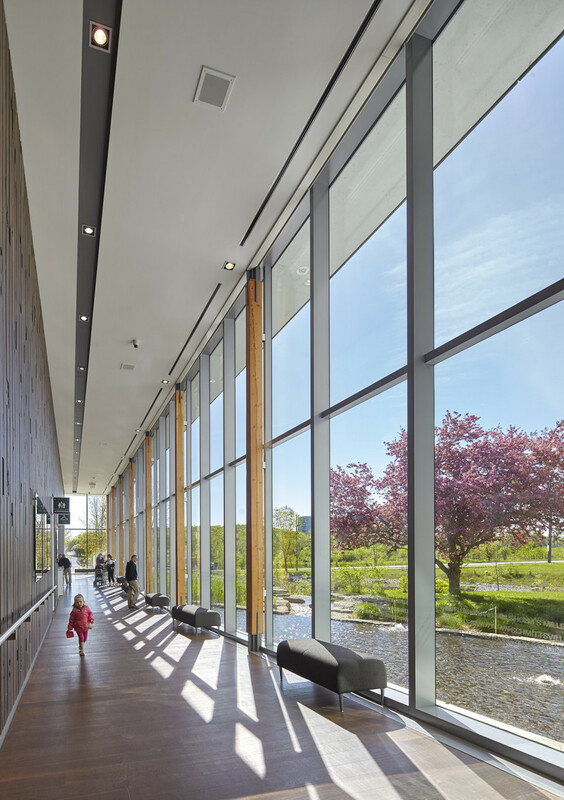 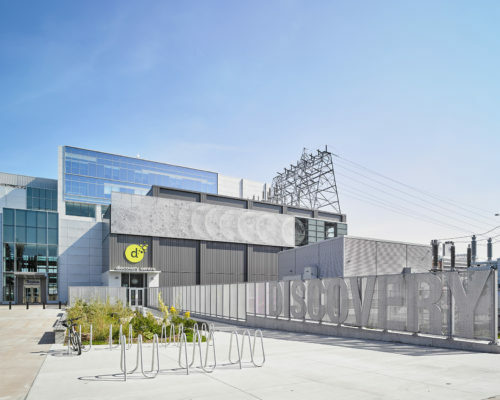 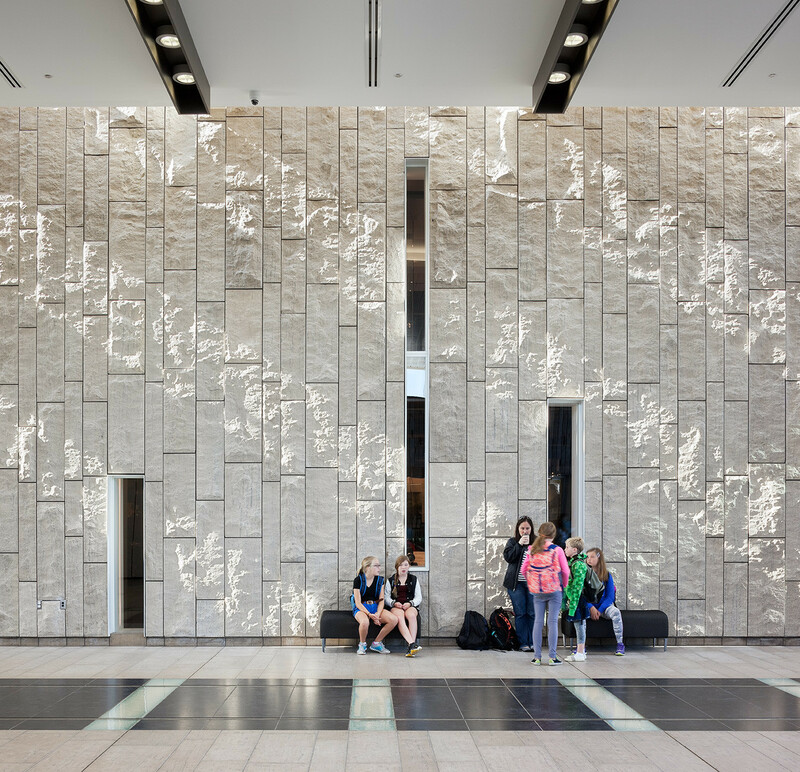 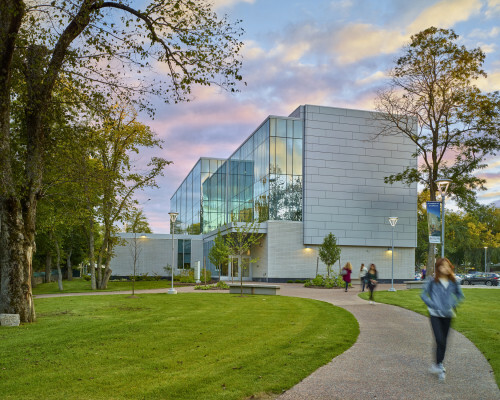 The Waterloo Region Museum is the first LEED certified museum in Canada.